Prime Minister Narendra Modi assured investors on Sunday that the controversial retrospective taxation is a thing of the past as his government has put in place a stable and predictable tax regime. The PM referred to the retrospective tax imposed in 2012, which had send a negative signal to foreign investors and created an uncertain business environment. “Retrospective tax is a matter of the past. That chapter will not be opened again. 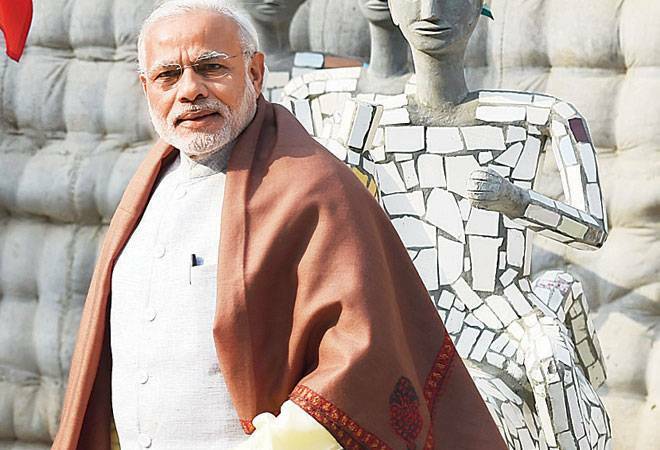 We are ensuring that neither this government nor future governments can open this chapter.” Modi said that his government is of the view that whosoever invests in India should know about the taxation system that will be applicable in the country over the next five years, 10 years and 15 years. Inviting French companies, especially those in the defence sector, to manufacture in India and take advantage of low costs involved, the PM said that India provides huge business opportunity for them. “India wants to enter the field of defence manufacturing. … I assure French companies present here, especially in the field of defence manufacturing, that we can do a lot in the area of defence manufacturing. We are working towards improving quality of life. We are working on good governance. These are the two initiatives that world is attracted towards,” he said. The PM said that India’s ranking in the ‘ease of doing business’ has improved by 12 points in a short span of time after his government took over. The inflow of 40 per cent foreign direct investment to the country in a short period of time is proof that the world recognises India as important destination, he pointed out. Modi said that there are many opportunities to work on different fields between India and France. “It is like ‘made for each other’. What you (France) have is our requirement and what you need is the market which we have,” he said.